My Apple Watch Won't Restart! Here's The Real Fix. You are at:Home»Apple Watch»My Apple Watch Won’t Restart! Here’s The Real Fix. My Apple Watch Won’t Restart! Here’s The Real Fix. Your Apple Watch won’t restart and you don’t know why. You’re pressing the side button and the Digital Crown, but nothing’s happening. In this article, I’ll explain the reasons why your Apple Watch is not restarting and show you how to fix the problem! Why Won’t My Apple Watch Restart? It’s frozen and completely unresponsive. It’s in Power Reserve mode. It ran out of battery life and it’s not charging. There’s a hardware problem with your Apple Watch. This article will help you address each problem so you can get your Apple Watch working normally again! If your Apple Watch won’t restart because it’s frozen, try performing a hard reset. This will force your Apple Watch to abruptly turn off and back on, which will remove it from its frozen state. To hard reset your Apple Watch, simultaneously press and hold the Digital Crown and the side button. Release both buttons when the Apple logo appears on the center of the display. Your Apple Watch will turn back on shortly after the Apple logo appears. Is Your Apple Watch In Power Reserve Mode? Your Apple Watch might not be restarting because it’s in Power Reserve mode, which conserves battery life by turning your Apple Watch into little more than a digital wrist watch. If your Apple Watch has enough battery life, you can exit Power Reserve by pressing and holding the side button until the Apple logo appears on the center of the watch face. Your Apple Watch will turn back on shortly after you’ve released the side button. If your Apple Watch doesn’t have enough battery life to exit Power Reserve mode, you won’t be able to restart your Apple Watch until you’ve charged it for a little while. 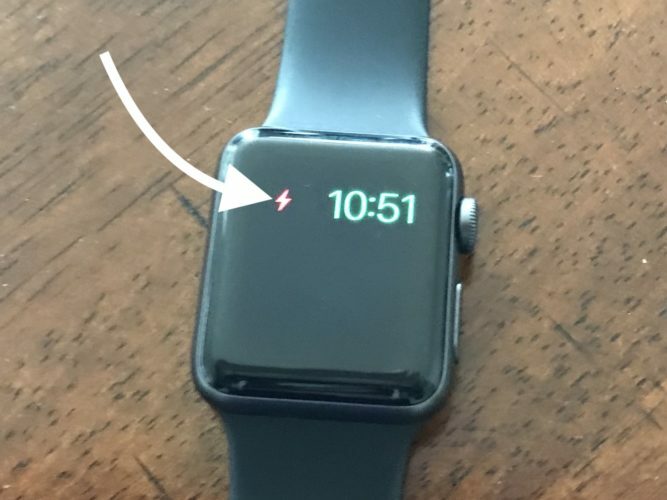 You’ll know you have to charge up your Apple Watch if you see a small, red lightning bolt on the display. Is Your Apple Watch Charging? If you’ve placed your Apple Watch on its magnetic charger, but it still isn’t restarting, there may be a software or hard problem preventing your Apple Watch from charging. Your Apple Watch’s software, your charger, your charging cable, and the magnetic back of your Apple Watch all play an important role in the charging process. If one component isn’t working properly, your Apple Watch simply won’t charge. Check out our article to diagnose and fix the real reason why your Apple Watch won’t charge. Once you do, you’ll be able to restart your Apple Watch once again! 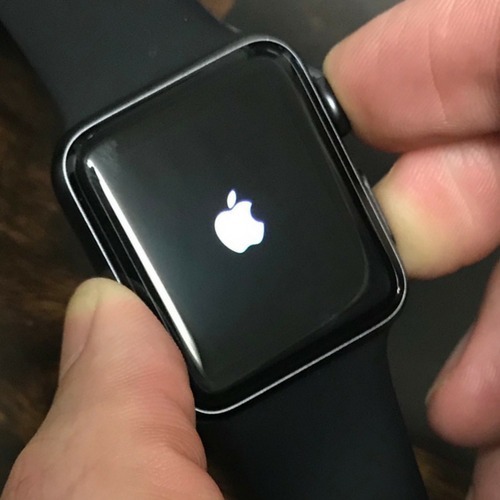 If your Apple Watch won’t restart and you’ve ruled out the first three potential causes, there may be a hardware problem with your Apple Watch. Often times, physical or water damage can prevent your Apple Watch from restarting. We recommend making a trip to your local Apple Store — just remember to schedule an appointment first! An Apple tech or Genius will be able to assess the damage and determine whether or not a repair is necessary. 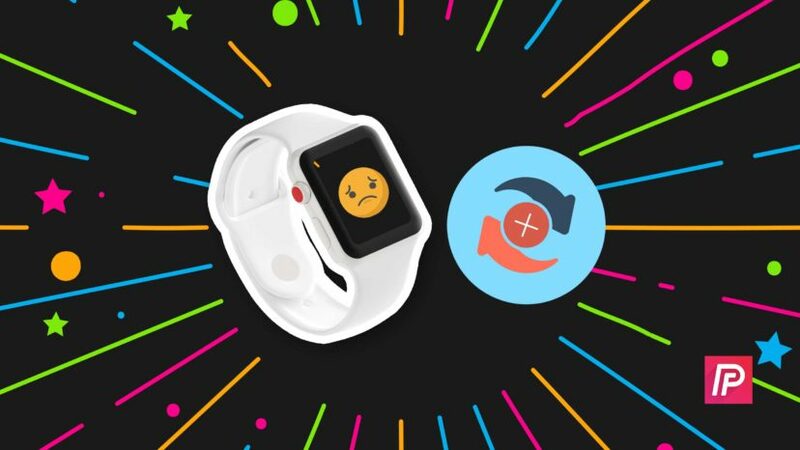 You’ve successfully fixed your Apple Watch and now you can start using it again. Next time your Apple Watch won’t restart, you’ll know exactly where to come to fix the problem. Feel free to leave any other comments you have about your Apple Watch in the comments section below! Previous ArticleiPhone X Delayed Lock? Here’s Why It Happens & The Real Fix! Next Article How To Connect Google Home To Your iPhone: The Easy Guide!